Bringing you the best organic honey from around the world. GfM’s best-selling organic blossom honey is gathered from wildflower foraging bees, resulting in a beautiful sweet, natural flavour. 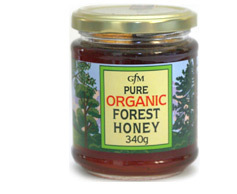 GfM’s organic forest honey has beautifully rich, malty flavours. Dark amber in colour, each jar captures the herbaceous and woody notes of a forest scene. 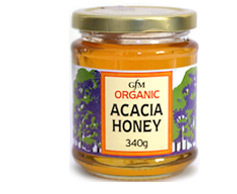 GfM’s organic Acacia honey is of exceptionally high quality creating a crystal clear, silky honey with delicate flavours. 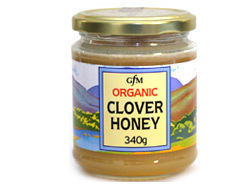 GfM’s organic clear clover honey has a distinctive, light colour with beautiful butterscotch and floral flavours. 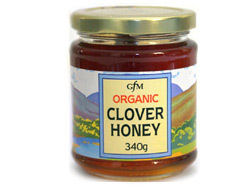 GfM’s clover makes arguably the best set honey in the world. 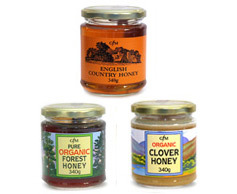 GfM’s organic Clover honey is collected from the rolling uncultivated pastures of New Zealand and lightly whipped to create a very smooth, delicate honey that is perfect spread on toast or paired with desserts. 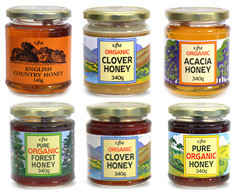 GfM is proud to support British Beekeepers by offering our beautiful clear summer honey. 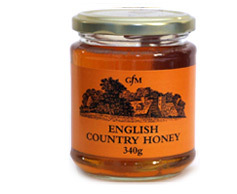 GfM’s English country honey is foraged from wildflowers creating a wonderful natural taste with hints of barley sugar and floral complexity. 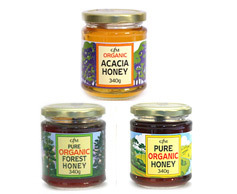 A perfect treat for honey lovers everywhere, GfM’s Tastes of the World collection take you on a culinary journey from the orchards of England to the rolling pastures of New Zealand via the Acacia forests of Hungary. Bring the taste of the great outdoors to your dining table with GfM’s delicious Countryside Collection. 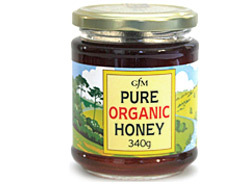 As many of us prefer to use organic honey in place of refined sugar, GfM has put together a classic Organic Cooks Collection of versatile honeys, perfect for baking, marinating, saucing and finishing.